The castle was built in the 13th century, during the reign of King Denis. It was largely remodeled in the 15th century and then again in the 16th century when a barbican was added to the structure. From the end of the 19th century, the castle was gradually abandoned until the structure turned into a ruin. Some consolidations were made in 1938, but the degradation continued to progress. In 1999, the walls were consolidated after a massive collapse. Today, the castle dominates the skyline and can be seen from miles around. Inside the castle, the ruins are interesting to wander around but the main attraction is the views from the castle walls. 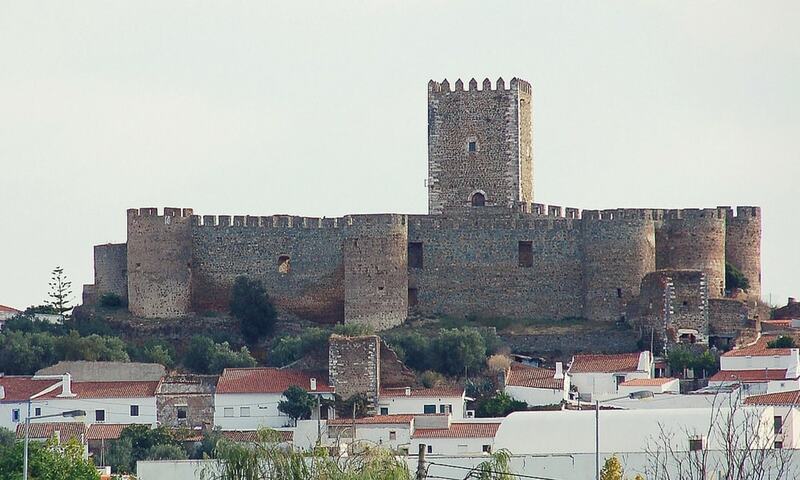 Huge medieval castle in Alentejo, Portugal seen from miles around.